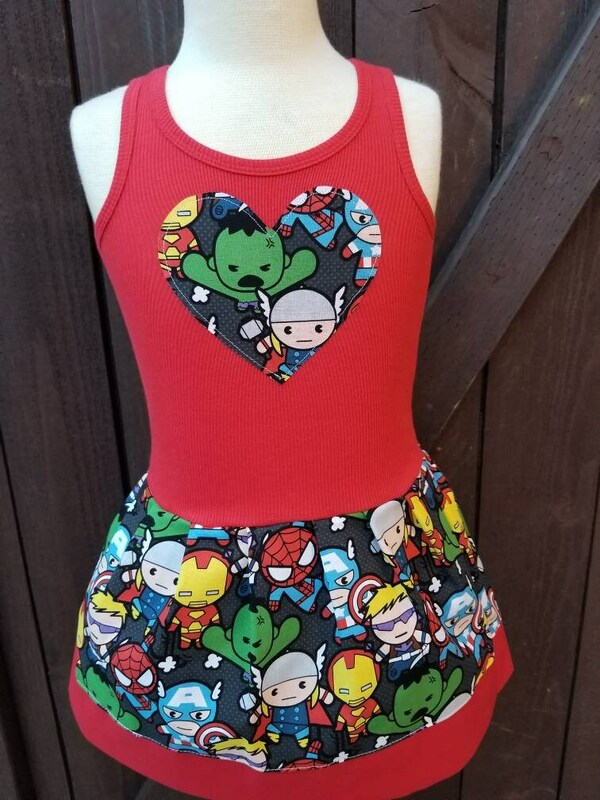 Super Hero, DRESS. Made with Kawaii fabric. We absolutely adore the dress! Perfect fit and well made! We will be ordering from your shop again!